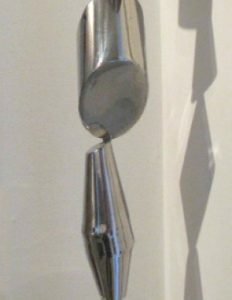 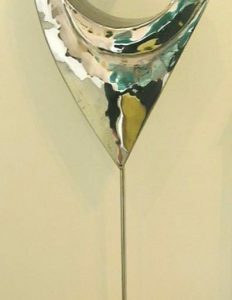 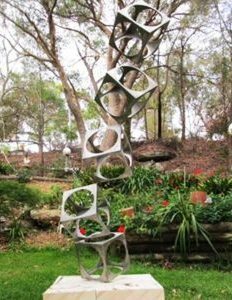 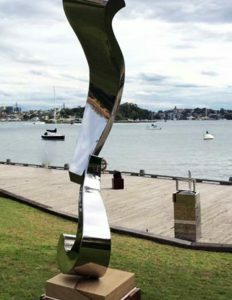 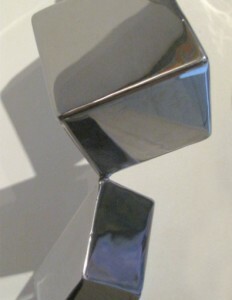 Ulric Steiner is a Swiss born sculptor based in Galston, NSW. 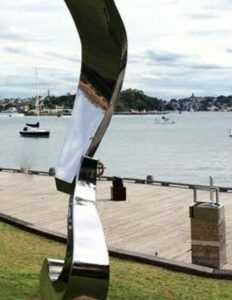 He has lived in Australia for close to 40 years, having originally sailed from landlocked Switzerland (through French rivers onto the Mediterranean and beyond) on a boat which he built himself. 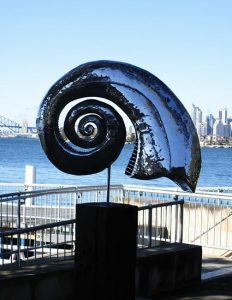 His work is strongly influenced by his experiences of travelling the world, and in particular, by styles of sculpture he has encountered in Japan, but he also finds inspiration in the abundance of native Australian animals who live around his Galston property. 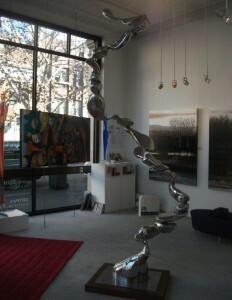 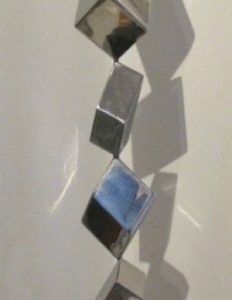 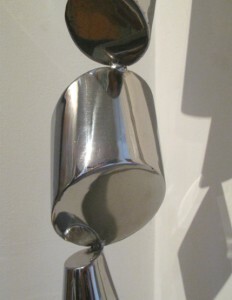 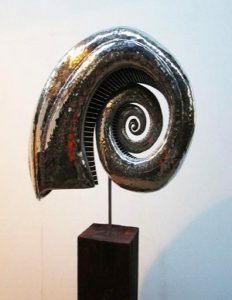 Coming from an artisan background, Steiner’s practice is pragmatic, imaginative and highly skilled. 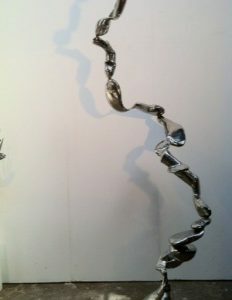 He works most commonly with stainless steel, which he often finds in scrapyards. 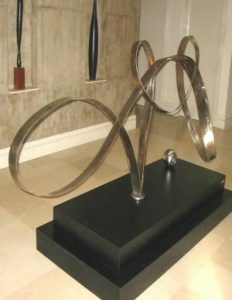 Steiner has been commissioned to create many public works, for corporate spaces and private homes. 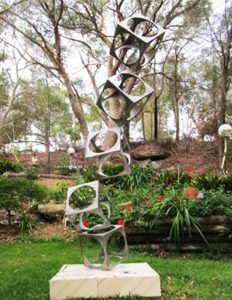 He regularly exhibits at galleries in Sydney and Melbourne.